I know what you must be thinking. "This so-called 'Food blogger' must be running out of things to write, because he's posting about a hotdog stand seen in nearly every grocery store across the nation". Well, you're wrong. I actually have a few posts backed up. I'm actually writing about this, because if you're like me, you've seen this stall hundreds of times during your trip to the mall. 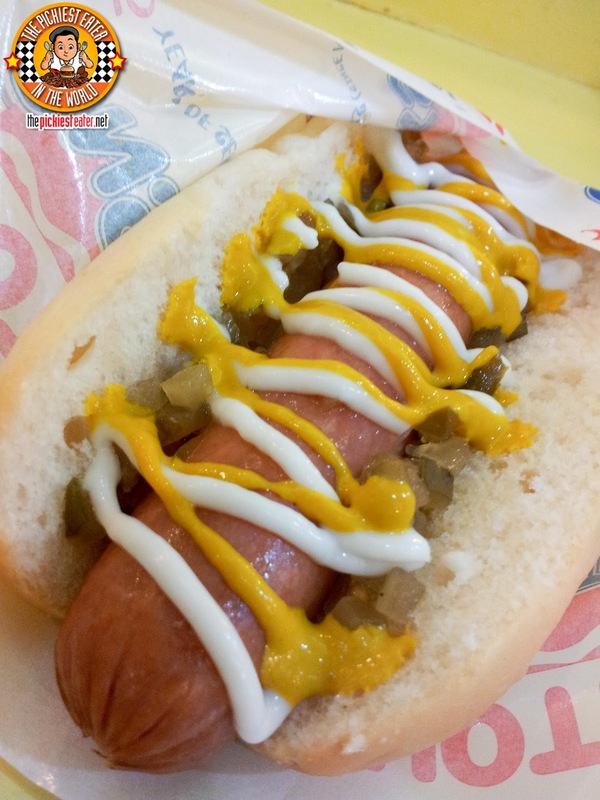 And like me, you just scoffed at it as your average-ordinary-run-of-the-mill Hotdog stand. 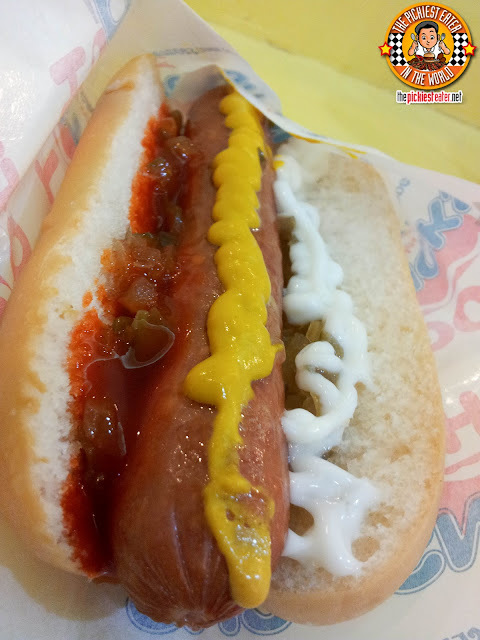 Little do you know, every time you passed it by without as much as a second glance, you're missing out on getting a taste of - in my humble opinion - the best hotdog you'll ever try here in the Philippines. * By the way, you'll have to forgive the photos because this was totally not planned. 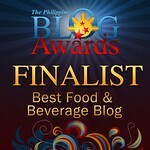 I just realized that I hadn't blogged about this yet, and I wanted to share it with you guys. Up until a few years ago, I always thought of Hotdog on Sticks as a cheap hotdog stand. It wasn't until around 2008 when I discovered its awesomeness. I had visited my family in Antipolo, only to find out that my brother wasn't home, because he was sent to the mall by my mom to buy her a hotdog. Yes, even my mom craves for the stuff, but naturally, she couldn't remember the name of the restaurant it came from. She told me to give my brother a call if I wanted some bought for Rina and I as well. I called up my brother and asked where he was buying the dogs. He said, "Hotdog On Sticks". In my mind, I was like, "Huh?". So I said, "Are you serious?". His tone suddenly became a bit more serious and he replied, "It's not what you think. I'll get some for you and Rina". Ryan sternly said, "I'm getting one for you too, because Rina won't want you getting a bite from her, and you sure as hell won't be getting one from me." Apparently, it seems my parents were a little lax in teaching my baby brother the concept of "sharing". I went to my mom to tell her the funny story of Ryan being selfish, and all she answered was, "Well I hope you bought one for yourself because you're not getting a bite from me either". To me, practically all Hotdogs here tastes the same. Its difficult to tell one apart from the other. Even the "German Frankfurter" or even a "Schublig" just tastes like a giant hotdog to me. In order to impress me, this hotdog needed to taste different. 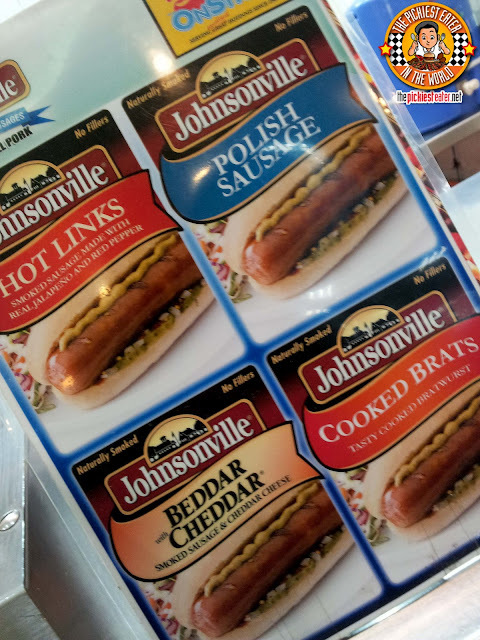 My brother knows his food, and so when he discovered that Hotdog on Sticks offered Johnsonville Sausages in their menu, he knew he just landed on a goldmine.. and he KNEW that I would love it. They sell four different variants here, one of them is my personal Favorite.. Beddar Cheddar. The "Beddar" part pertains to the type of wood that's used in smoking the sausage. 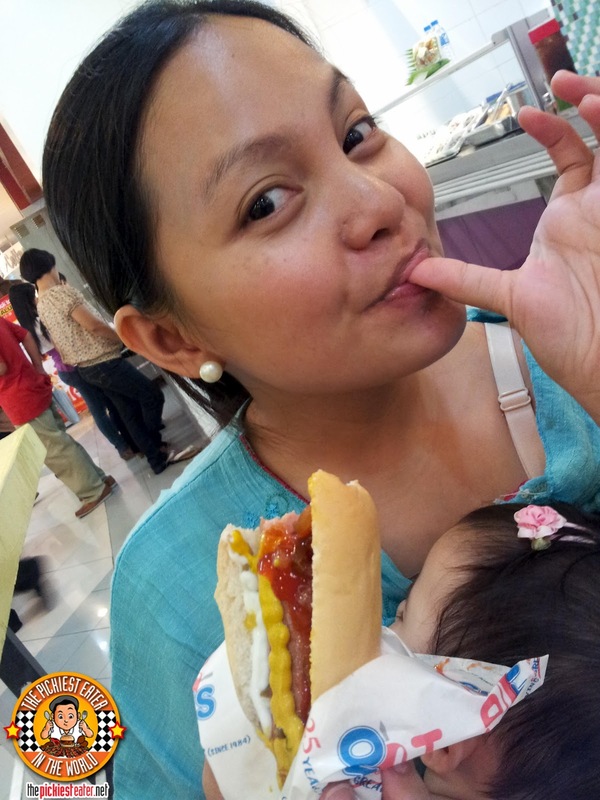 Rina likes hers fully loaded.. Ketchup, Mayo, Mustard and Pickle Relish. Me, I prefer it the same except without ketchup. Not that I mind ketchup with my hotdog, but I think that they use banana ketchup, which I detest. But truth be told, you could eat the sausage all by itself and the flavor on its own won't let you down. There is an amazing smokiness to the sausage that adds to the meatiness, making one bite virtual impossible. Which is exactly Ryan and my mom were more willing to sever family ties with me than let me have a bite of their Beddar Cheddar. The sausage lets out a gorgeous snap with every bite, and your mouth is just filled with a meaty flavor, your eyes will involuntarily roll to the back of your head. And now for the cheddar part. 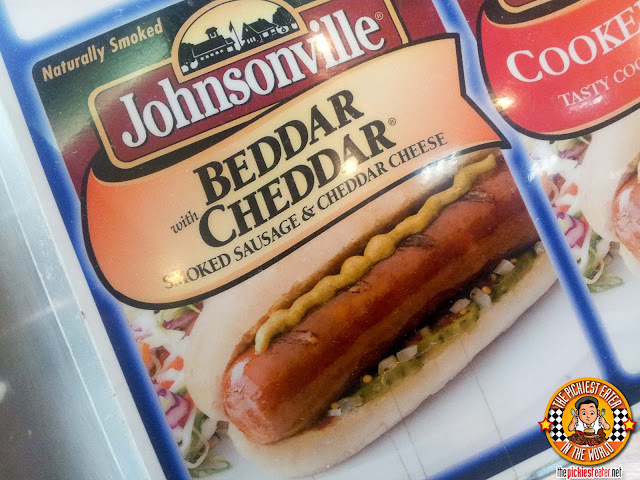 This isn't your usual cheesedog where you've got some yellow specs of cheese peppered into the sausage.With Johnsonville Beddar Cheddar, the melted cheddar cheese just EXPLODES into your mouth with every bite. EXPLODES. The bread was steamed a bit to give it a decent softness, but other than that, it was just normal bread. Truthfully, they could have placed the dog in between an issue of Reader's Digest and I still would have eaten it. I gotta say, my brother made the right call in getting my own Beddar Cheddar. Rina and I loved it so much, our marriage could very well have been in jeopardy if we were forced to share just one. Here she is in the picture above, managing to juggle Baby Rain and her Beddar Cheddar like a pro (It's easy to see why I fell in love with her, right?). I actually bought an entire pack from them at one time, because I was living in Makati at that time and there wasn't a Hotdog on Sticks stall that was easily accessible to me. That was around 2008, and the sandwiches were selling at P60 per order. They sold me a pack of Johnsonville Beddar Cheddar (Which has 6pcs) for the same cost of the sandwich.. P60 per sausage.. So the entire pack cost me P360 bucks. Was totally worth it though hehe. Comparing it to other hotdogs might be a little unfair because it's technically a sausage. 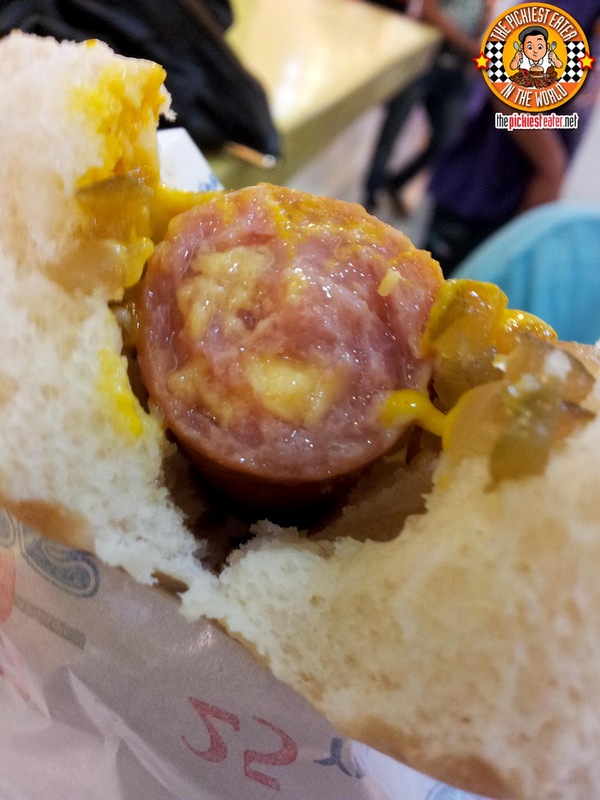 Segue: Why are hotdogs here in the Philippines red? I know that's how it looks like in cartoons and stuff, but in really life, I don't think it looks too appealing. Rina loves the stuff, but i'm always like.. "You DO know that it's full of red dye, right?" I'm not saying it tastes horrible either.. It's just a little bit odd. And I hate how, when you eat it, you get red stains on your bread or there's a small little puddle of red oil smeared with a bit of red dye on your plate. 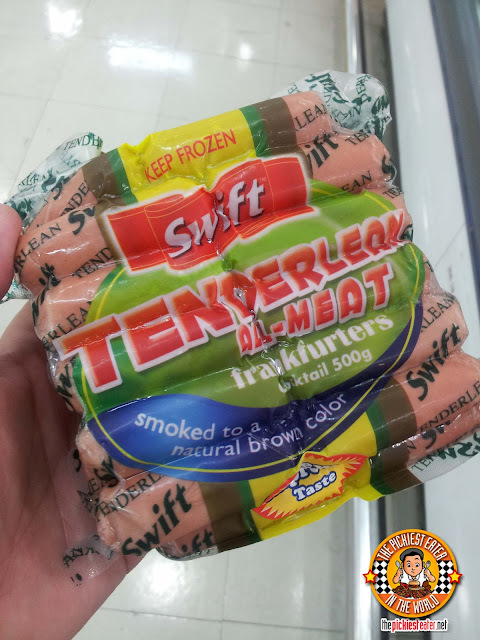 Perhaps my favorite Hotdog that you can get in the groceries here is undoubtedly Swift's "Tenderlean All-Meat Frankfurters". First of all, it isn't red, and second of all, it's absolutely delicious. I like cooking it with caramelized onions. Mix the butter sauce into your rice, and BAM! You're good to go! Anyways, I hope ya'll try the Beddar Chedar Sausage and let me know what you think! Lemme know what you think if it Noel! you have to try the Johnsonville sausages, Michy!! lemme know what you think, Berylle! Hope you enjoy it as much as I do, Chaneen! Same here! I've also been an avid fan of Swift's tenderlean franks! I can't get my kids to buy into it since the color is foreign (the irony!) to them, but I love 'em. Glad to know I'm not alone. I was secretly afraid that I was the only one buying it and they might phase it out hahaha. now you made me wanna look for the nearest branch so i can buy!! haha! One brand I like though is Hero Sausages esp. the hungarian sausage. I like Hero !! Did ya know they sold a sausage made of crocodile? hehe.. I didn't have the guts to try it though! yah, i saw it one time when i passed by their shangrila mall stall. I don't have plans trying it out too. LOL!! if you get to try it, please make an entry. HAHAHAHAHAHA!! 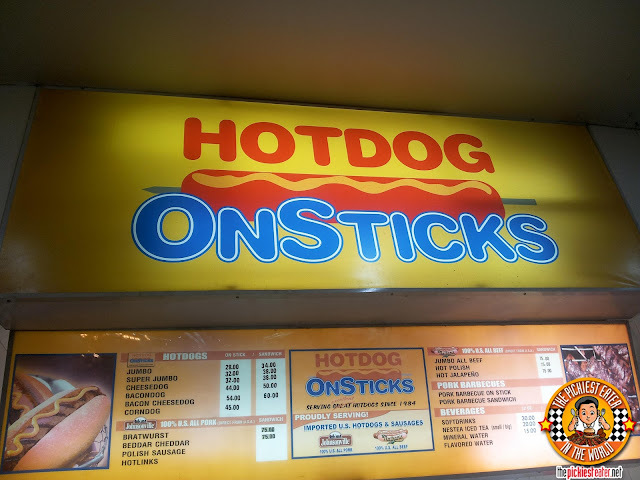 I've been on the lookout for a Hotdog on Sticks stall ever since I read this and I still haven't seen one! The frustration! But, I shall never lose hope and continue my search, since you describe their hotdogs oh so nicely (and mouth-wateringly), and will try the Swift Tenderleans. and im responding at this hour!! imagine what that says about me too! Haha karen, I think you and I will get along just fine!